A mid 19thc near pair of mahogany cylindrical pot cupboards in the form of columns. These have turned mahogany tops with white marble inserts. The main body to the cupboards is fluted to form the appearance of a column & each have a hinged door with one shelf inside. 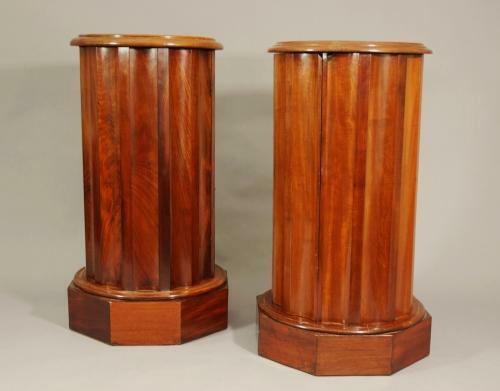 They stand on a veneered mahogany octagonal plynth base. These are both in very good order & have a wonderful colour.